Savings. You save money in a lot of ways with a yearly maintenance contract. Regular maintenance keeps your HVAC system in good working order so that you avoid unexpected breakdowns and costly emergency repairs. You avoid paying after hours fees if your system breaks down in the middle of the night, and your energy costs are lower when your system is running more efficiently. Discounts. If your HVAC company is also your heating fuel supplier, you receive a discount on fuel deliveries—at least you do if you’re a customer of Alamance Oil. You also enjoy 20% off diagnostic fees and repairs and $50 in bonus bucks per year that can be used toward new equipment. Convenience. 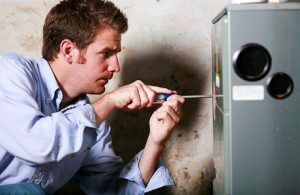 It’s easy to forget about your furnace or air conditioner until something goes wrong. When you have an annual contract with your HVAC company, your maintenance happens automatically, as do fuel deliveries. Your chances of HVAC breakdowns are virtually eliminated and running out of propane or heating oil simply won’t happen. Added perks. You essentially become an MVP customer. Emergency and after hours fees are waived for you, and you receive priority service. You receive reliable service from trained, certified HVAC technicians who are familiar with every brand and model of heating and cooling equipment. A longer lasting system. You’ll get more years of operation out of your furnace and air conditioner when they are well maintained throughout their lifetime. Dirt, wear and tear, lack of lubrication, and other problems cause your HVAC system to work harder or improperly, which eventually leads to early system failure. Do you want to have all of the above advantages when it comes to your home comfort? It starts with a reliable HVAC company like Alamance Oil. One of the biggest advantages of being an Alamance Oil customer is that all of your home comfort services can be handled by just one company. Heating and air conditioning repair, maintenance, replacement, and installation as well as heating fuel delivery is all offered by a business you know and trust, or soon will. Additional home comfort services offered by Alamance Oil include gas log service and installation, generator installation and maintenance, and even commercial services such as fleet fueling and fuel delivery. Sign up for a Comfort and Protection Service Plan from Alamance Oil today and see for yourself all the advantages. Call (336) 273-8663.